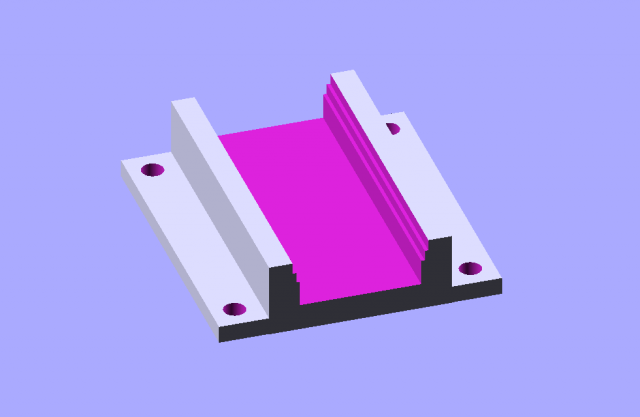 I made another boring 3D printed part, and I say that in the best possible way. I mean, in some ways we may be at the point where creating a custom part is a little boring. 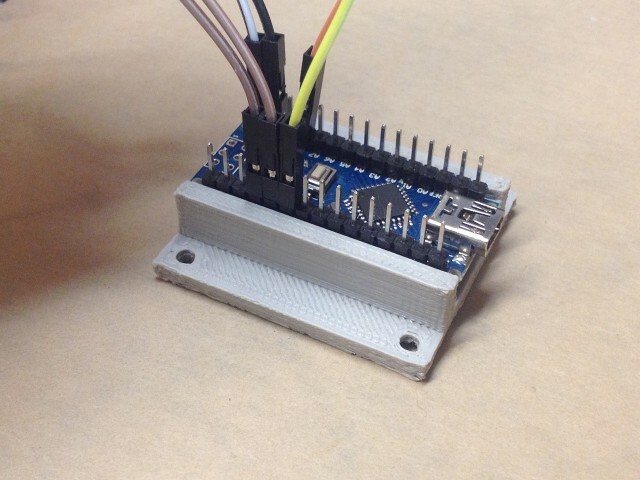 Anyway, I needed a thing, so I did a search and found the thing, which is an Arduino Nano mounting base. I downloaded it, printed it, and it wasn’t quite what I needed, and didn’t print very well. No matter, I just designed my own. Here’s my Arduino Nano Holder. I designed it very quickly, printed it, and it was ok but not great, so I tweaked things a bit and printed again. The same afternoon I needed a thing, I had a thing. I then shared the design with others so they could have the thing. In the first two days it was online 14 people found it useful and/or interesting. I think that people forget that half the magic is in the physical making of the thing, and the other half is in the “virtual” making of the thing. Designing the thing with software. This is part of the problem that the “I’ve got a 3D printer, what do I do with it now?” presents. Plenty of organizations are getting 3D printers with no clear plan of how they will be used. They are magical machines, but magic requires a wizard, or whatever you want to call someone with the skills to design 3D objects. And yes, the software is getting better/easier, so there is hope. I may need to design another part next week, and it probably won’t be amazing or spectacular, but it will get the job done, and getting the job done is more important to me than magic. Posted on Friday, May 27th, 2016 at 8:09 pm. Subscribe to the comments feed. Both comments and pings are currently closed. Post on your own blog.